Catholic guilt won’t let me go five weeks without going to Mass despite the English Reformation. This is how I found myself in St. James Catholic Church today and the Sunday before. Forgive me for saying so but most Catholic churches in the south tend to be pretty sparse in their decorations. St. James does not follow this minimalist design aesthetic. There’s a Communion rail. An actual Communion rail that they use. Growing up in the post-Vatican II Church did not prepare me for this. So exciting. Supposedly the Mass is the same everywhere. I can’t personally say if this is true everywhere, but in England it is. They are a little more polite in their responses though. Like in the intercessions they say “Lord, graciously hear us” instead of “Lord, hear our pray.” See? More polite. I was very excited about noon Mass (perfect time of day) until I arrived and realized that it was also a Confirmation. Complete with local bishop. They didn’t kick me out or anything, and since I wasn’t the only one in jeans, I assume not everyone was there for the Confirmation part. The bishop’s homily about his recent trip to Iraq was interesting. Especially considering that at my Confirmation the homily alone was an hour, and the archbishop told us to “Get high on the Holy Spirit.” I’m not making this up. After wandering about the high street and regretting not going to the all-day brunch place, I found yet another bookshop. 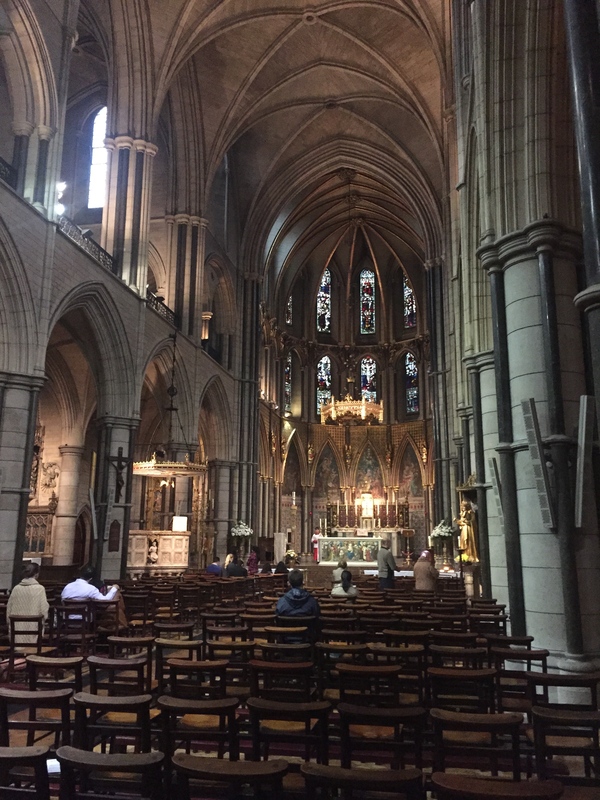 (This blog should really be called “Cathedrals and Bookshops: A Nerd Goes England”) This one was cute and more “local feeling” than Waterstones. I thought of the books waiting for me at the dorm and bought nothing. But I’ll be back. 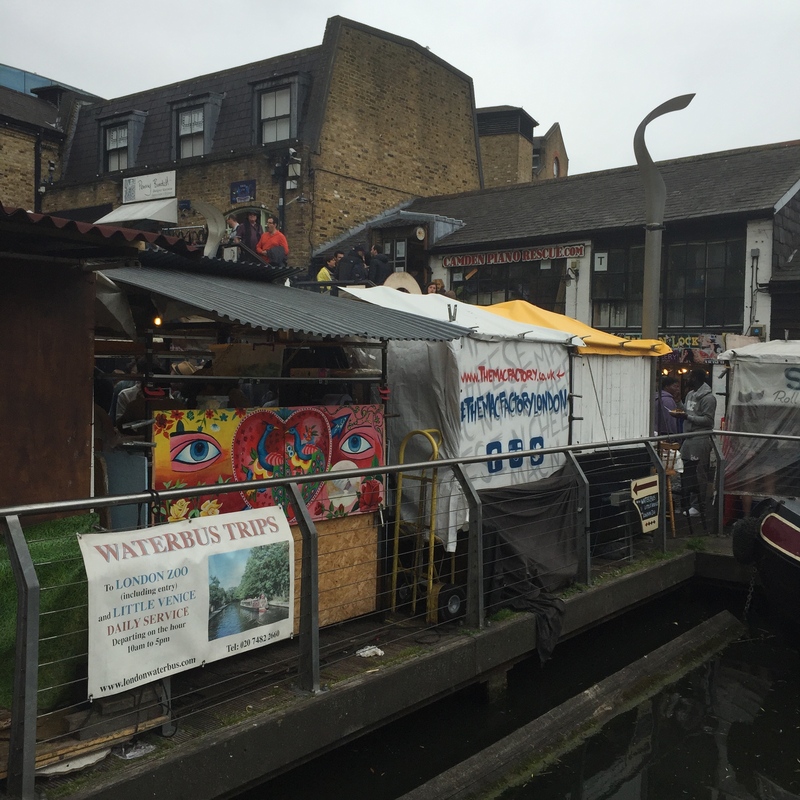 Later a group of us went to Camden Market expecting a flower show. Instead we found an alternative outdoor market. We arrived just as it started to rain. The food (always the best part) was amazing and featured a ridiculous variety of choices: Nutella crêpes to Argentine street food to squid ink pasta to calamari. 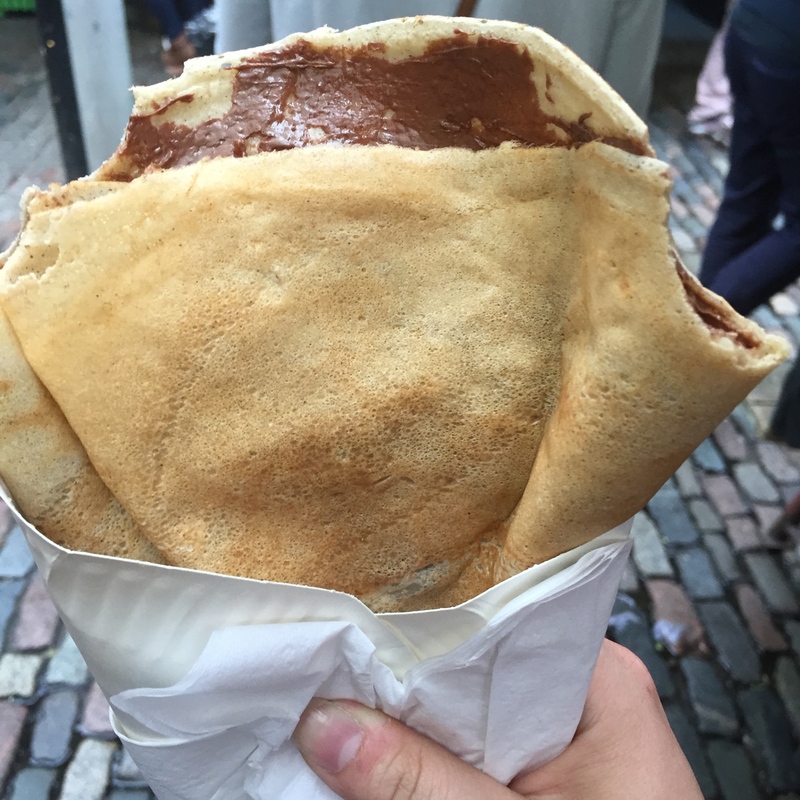 And I don’t eat calamari so Nutella crêpes it was.